Sphere with hatched shading and shadow. Top left: Completed sphere. 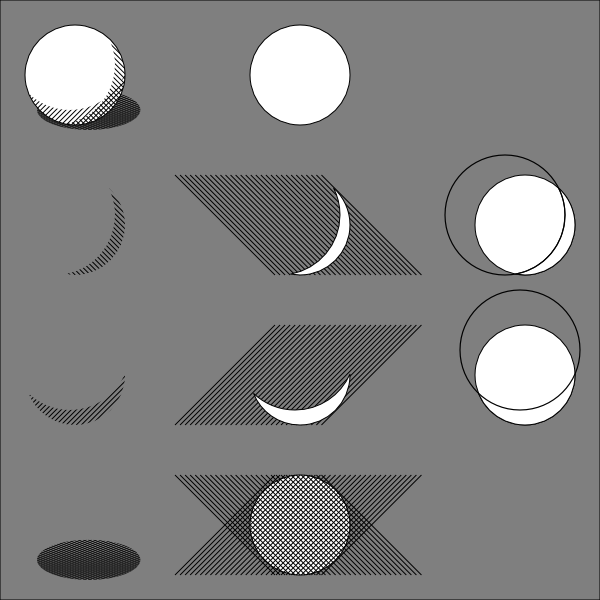 Top middle: Unshaded sphere. Middles: Path used for clipping, raw hatch (single line duplicated via tile-cloning), creation of clipping path from two circles. Bottom: Shadow created from hatches clipped by circle and then squeezed in vertical direction.